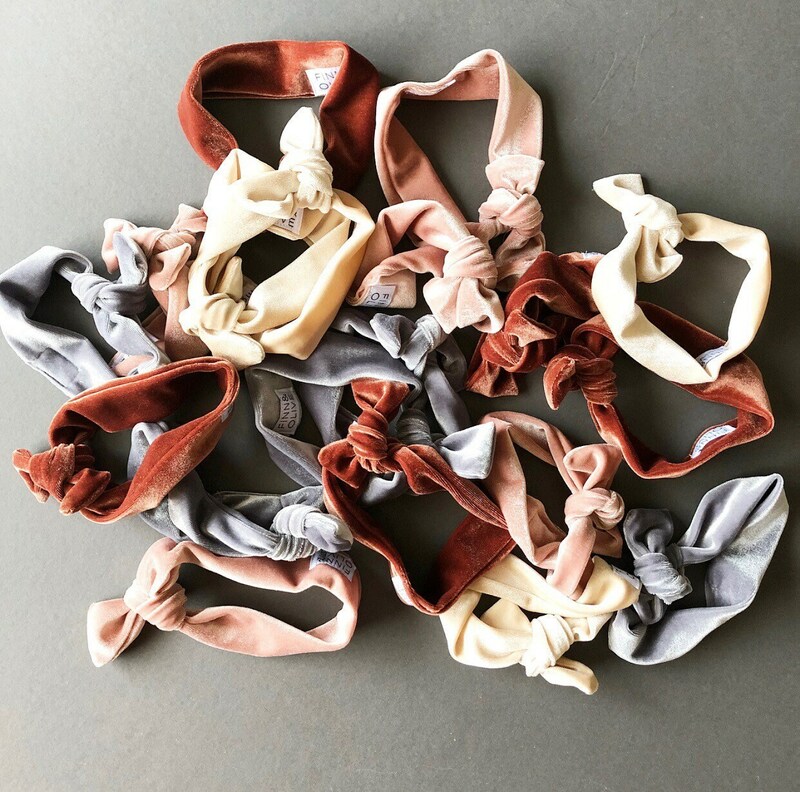 Choose from a stunning blush, cream or rust velvet knot headbands. So soft and stretchy! We love the texture. Headwraps are adjustable and as your baby's head grows simply retie. As the band becomes larger the bow will become smaller. 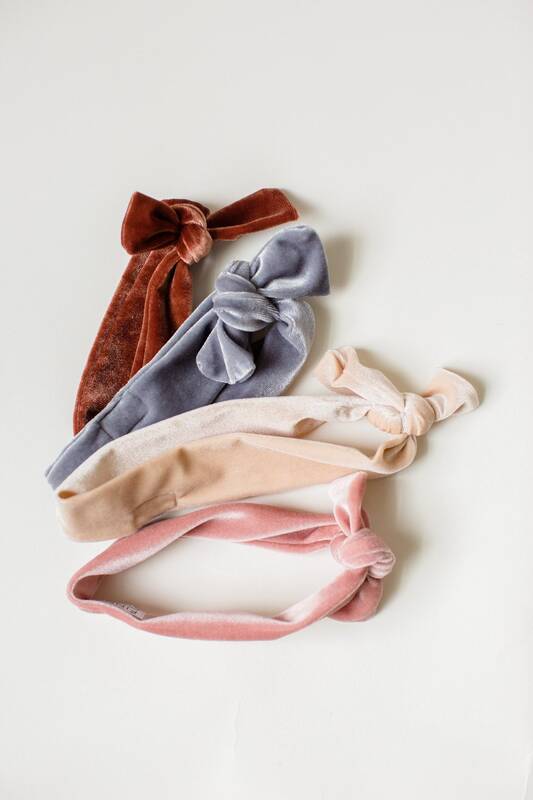 The headband is great for gift giving or for your own sweet girl. All edges are sewn and serged for durability. It is machine washable. ***Items will ship within 3- 5 business days! Made in a clean environment. Also follow us on Instagram [@finnandolive] and on Facebook [finnandolive] for special promotions, giveaways and product previews!